Your Bowling Center is a family owned bowling center, located in Bend, OR. Under new ownership since 2016, come see our bright, clean facility! 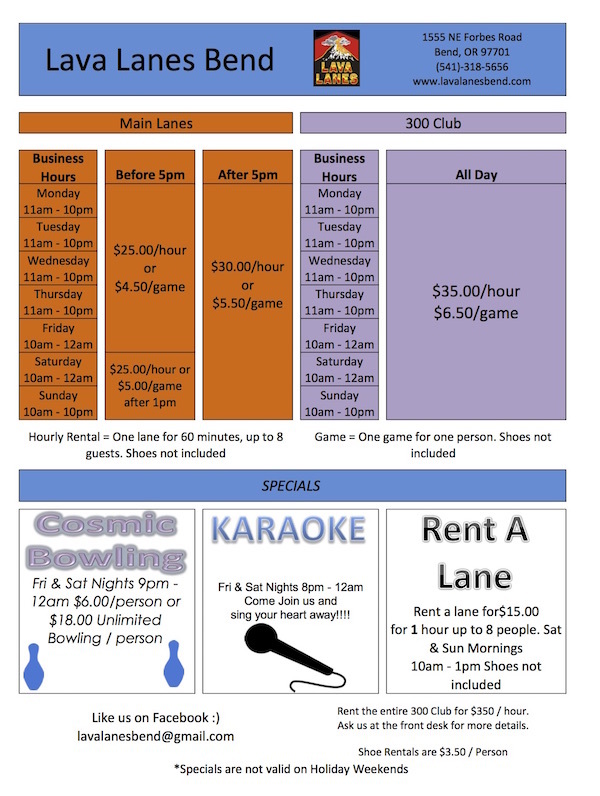 Bowling is only the beginning at Your Bowling Center!